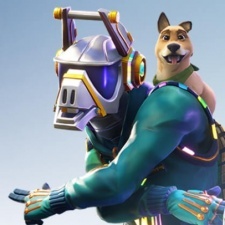 Fortnite has grossed over $500 million on iOS since launching in March 2018, according to market analyst Sensor Tower. Epic Games’ battle-royale sensation continues to dominate the games market after officially passing the half a billion mark in 326 days. This milestone is even more impressive when you compare it to other juggernauts like Clash Royale (389 days) and Honor of Kings (405 days). Since launching on March 15th, 2018 Fortnite has averaged $1.53 million per day. In 2018 the game made $455 million on the App store alone. Figures for Android are currently unknown after Epic made the decision to sidestep Google Play in favour of its own game launcher. Fortnite topped the viewership for Twitch figures too, with viewers watching 9.36 billion hours of content in 2018. The free-to-play title recently made history on February 2nd by hosting a DJ Marshmello concert that was attended by 10 million concurrent players.